Portland, Ore., August 23, 2017 – Baird, an employee-owned, international financial services firm, today announced that Macie House has joined the firm’s Global Investment Banking business as a Managing Director. As a member of the Equity Capital Markets team, House will lead the firm’s equity origination efforts in the Technology & Services sector. She will be based out of Baird’s Portland, Ore. office. House comes to Baird with 25 years of investment banking and corporate development experience. 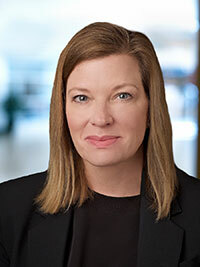 The bulk of her career was spent at Pacific Crest Securities where she was most recently a Principal and Director in the equity capital markets division of the firm’s investment banking business. In this role, she was directly responsible for originating and executing public and private offerings within Software (SaaS), Security, Internet and IoT, Industrial Technology, Consumer and Communication sectors. During her 20-plus years with Pacific Crest, she participated in underwriting over 100 public offerings, raising over $60B in proceeds. House is an active supporter and Board member of The Children’s Cancer Association. She is a graduate of Marylhurst University. Baird’s Global Investment Banking business had an impressive year in 2016 despite challenging market conditions. Generating its fourth straight year of record revenues, Baird increased its book-run equity financing activity by 33%. The firm also completed a total of 174 transactions worth $40 billion in 2016. 1Greenwich Associates U.S. Equity Investors – Small-/Mid-Cap Funds, 2004–2017. Survey conducted with 101 U.S. small-cap and mid-cap fund managers and 214 fund managers and 300 traders, respectively. Rankings for qualitative metrics are based on leading research firms in survey.